Comcast Cares Day is more than just a day – it is an illustration of the spirit of volunteerism that our employees bring to life each and every day. From using technology to create positive change, such as teaching digital literacy skills, to mentoring youth, to stocking food banks, to beautifying parks, Comcast NBCUniversal employees volunteer during this celebration and throughout the year to make a lasting impact. This year, Comcast employees, friends, and partners will participate in 22 projects across Utah. There’s still time for you to join us in making a difference. Volunteers will support our partner organizations on projects that include mentoring local students in STEM and upgrading organizations into environmentally sustainable spaces that serve our communities. If you are looking for an opportunity to get involved and give back to your community, consider participating in Comcast Cares Day. The day will begin with volunteer check-in and FREE breakfast and conclude with FREE lunch by noon. 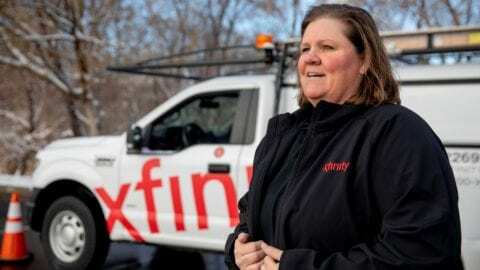 Sign up to volunteer online at Comcast in the Community or view individual projects below and sign up through the direct links. Volunteers will also receive a FREE Comcast Cares Day T-shirt as a Thank you for participating. Recycle Utah in Park City invites volunteers will help spruce up trails to get ready for the summer tourist season. To register for this project click the following link. April 20: Salt Lake School District welcomes 500 students and parents for the opportunity to participate in a STEM workshop at East High School. Participants will learn how to design and print on a 3D printer, robotics, full-immersion VR, coding and more! The workshop encourages making, tinkering, inventing, and building through STEM education. To register for this project click the following link. May 4: YWCA of Utah invites the entire community out to join us for Comcast Cares Day at the YWCA of Utah. Please join in to help complete many service projects including re-organizing clothing donations, cleaning, landscaping, gardening, and much more! To register, please click on the following link. May 4: Salt Lake County Animal Services invites the community out to join us for Comcast Cares Day. Please join in to help complete many service projects including painting, cleaning, landscaping, gardening, and much more! To register, please click on the following link. May 4: Road Home volunteers will help homeless residents by cleaning and improving three Road Home locations, by sorting donated supplies, planting bushes and flowers, weeding flowerbeds, and beautifying both the interior and exterior of the buildings. To register for this project click the following link. April 27: Boys & Girls Club of Greater Salt Lake – Midvale House is hosting Comcast Cares Day with 200 volunteers. Participants will help with a variety of revitalization projects, including grounds clean up, landscaping, painting the interior of the campus, cleaning floors, and deep-cleaning student activity areas. To register, please click on the following link. May 4: Valley Junior High invites the entire community to participate in a day of fun and service. Help the school sparkle by cleaning and organizing classrooms, participate in a community resource fair, and much more. Valley Junior High students will participate in STEM classes. To register for this project click the following link. April 27: Volunteers are invited to participate in various projects across Ogden City, from maintaining trails, spreading wood chips and mulch, trimming bushes and trees, to painting park bleachers, weeding and planting community gardens. To register for this project click the following link. May 4: Crestview Elementary invites the community to join us for Comcast Cares Day. Volunteers will help with a variety of projects including grounds clean up, landscaping, deep-cleaning student activity areas, and much more! To register for this project click the following link. 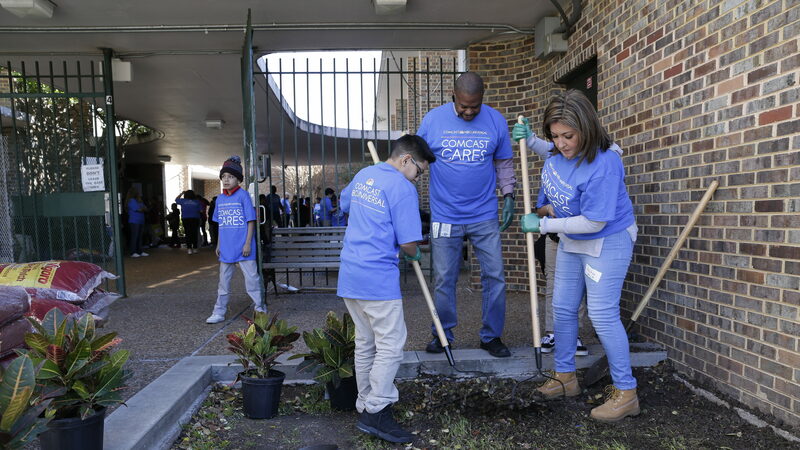 May 4: Treeside Charter School invites 800 volunteers to make a lasting impression on the school by creating an environmentally sustainable space. Volunteers will help build a greenhouse, planting gardening boxes to establish a farm to table nutritional program for students and staff, equip a solar and wind power laboratory, plant nearly 20 trees, and much more! There is plenty to do, so please volunteer to lend a hand. To register, please click on the following link. May 4: Ignite Entrepreneurship Academy welcomes 350 students, families, and community members to help us complete several projects throughout the school. Volunteers will install a sensory garden, clean classrooms, plant flowers, building benches, and much more! To register, please click on the following link. Register to volunteer online today!